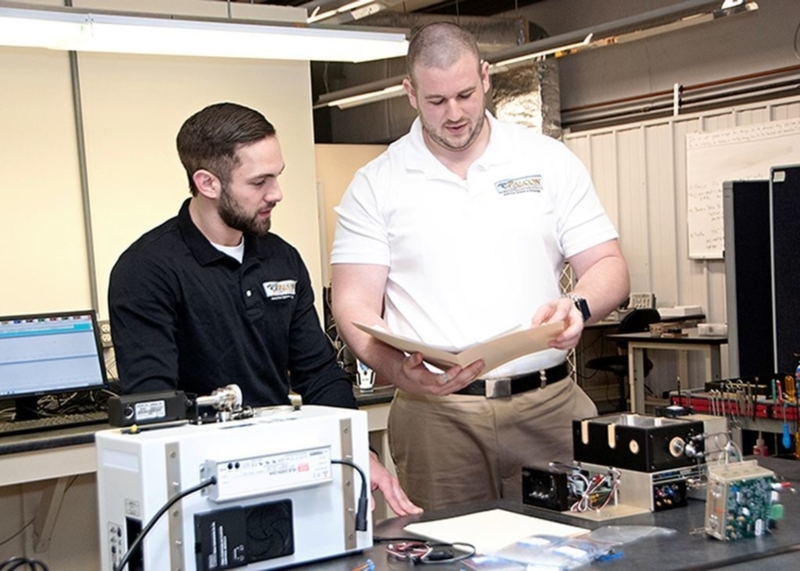 Teledyne Corporation has been in business for many decades and Falcon Analytical has been in business as a WV Limited Liability Corporation since 2007. Teledyne-Falcon's only business is serving refining, petrochemical, chemical and upstream customers with ultrafast gas chromatography and applications technology. Our Teledyne-Falcon GC product was awarded two US patents. One provisional US patent is pending and two more patents are in development. Our applications installed to date mirror our targeted customer segments and much more. We like to say from the winery to the refinery to the wellhead and everything in between. Using Teledyne-Falcon GC with an autosampler makes a fine lab instrument. Using our Process Analyzer Enclosure Teledyne-Falcon GC is an awesome fast process GC. The size, weight, utility gas and power consumption characteristics of Teledyne-Falcon GC enable the GC to be an excellent transportable GC. Top of page: The Patented Ultrafast Teledyne-Falcon Gas Chromatograph. 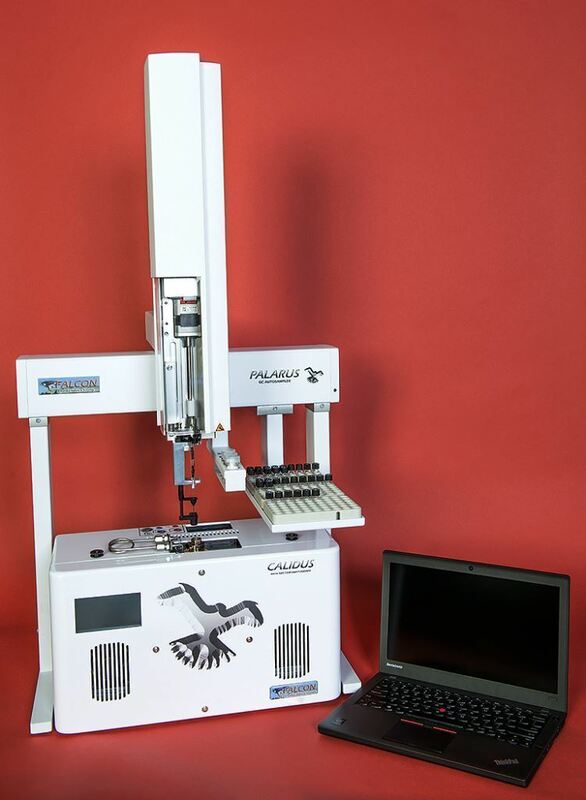 Above right: The Teledyne-Falcon GC with PALARUSTM Autosampler and PC Interface. Above Middle: The Teledyne-Falcon Mobile GC System loaded in a Jeep Wrangler Sahara. Our D7798 method is 2-3 times more precise than the older D2887 (equivalent) with no bias, enabling far more precise control for fuel production. D7798 analysis time is <5 minutes, 2-7 times faster than any version of D2887. Teledyne-Falcon GC is the only GC fully capable of running the ultrafast D7798 method and achieving these extraordinary results. The State of West Virginia has awarded Falcon Analytical 15 Governors Commendations for Excellence in Exporting. Each award is for a new and distinct destination nation. The US Department of Commerce has awarded Falcon Analytical the President’s “E” Award for Export Excellence. For 2016 Dow Chemical and Falcon Analytical were joint finalists for “R&D” magazine’s R&D 100 Award and the UK’s “IChemE” award. These two awards are for significant contribution to the sciences, in this case chemical related science. Dow and Falcon submitted a joint entry that included the Dow Chemical marker, Accutrace S10, that can be detected in fuels at 250 ppb levels by Teledyne-Falcon GCs. 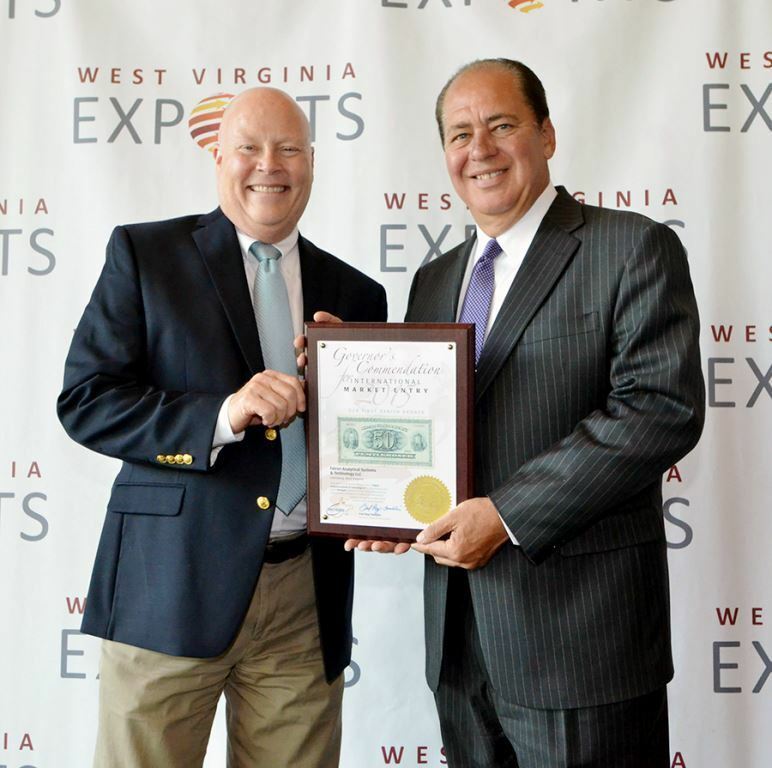 Above Left: John Crandall Falcon CEO receives one of fifteen Commendations for Excellence in Exporting from West Virginia Governor, Earl Ray Tomblin. 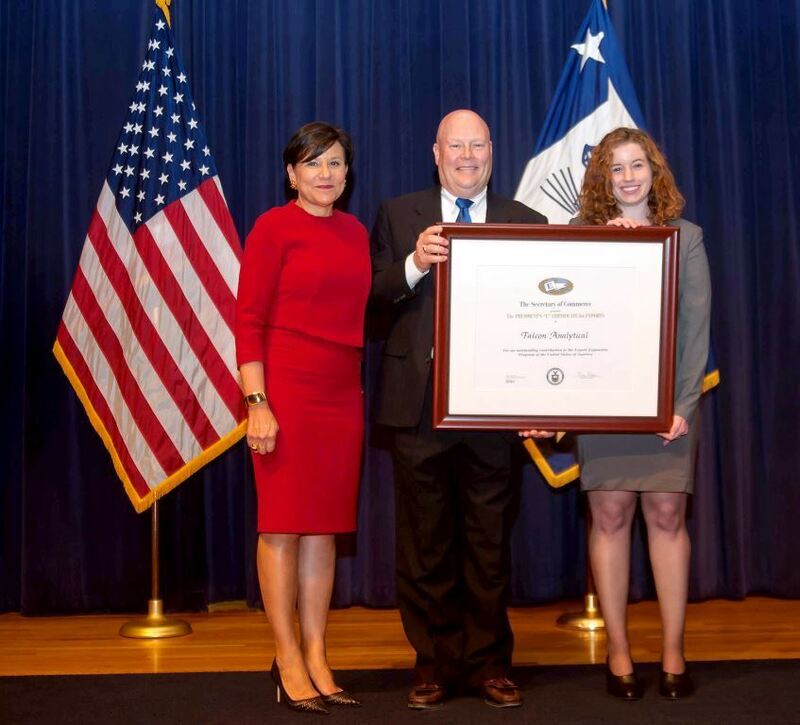 Above Right: John Crandall and Falcon Business Analyst, Lauran Shafer receive the President’s E Award for Export Excellence from U.S. Secretary of Commerce, Penny Pritzker. Falcon has been in business since 2007 as a distributor and subcontract manufacturer of gas chromatography equipment. We are owned in part by a larger business entity, Appalachian Electronic Instruments, Inc., a Class C corporation for more than 60 years. 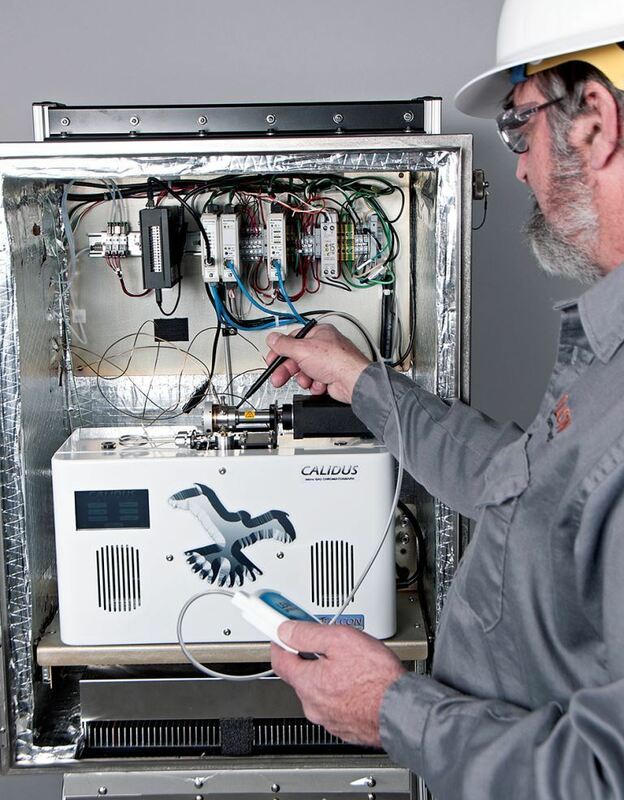 Falcon has 8 specialized gas chromatography employees, supported by 50 AEI manufacturing employees, who build all of the CALIDUS GC hardware, in a 55,000’ square facility on the same industrial site where Falcon is located. This gives Falcon deep capabilities for custom engineering and manufacturing as projects require. 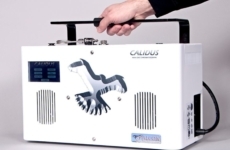 Falcon has the capacity to produce up to 500 CALIDUS ultrafast GCs per year without expanding staff. Above: The Falcon/AEI manufacturing facility in Lewisburg, West Virginia USA. CALIDUS ultrafast gas chromatograph installed base has grown to over 200 units since formal introduction in January 2010. The first commercial customer was Dow Chemical followed shortly by Chevron. About 25% of the CALIDUS GCs installed are applied in simulated distillation for fuel properties. About 25% are deployed for natural gas composition measurement, from fixed gases up to C12. About 25% are used in transportable fuel marker applications for fuel tax fraud detection. Each of the above are process installations. A 5th challenging process installation is for a gasoline blender at Chevron. 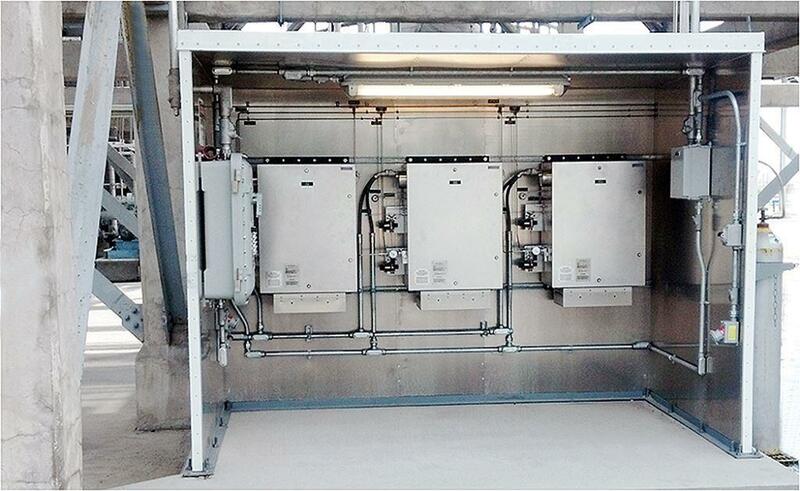 Above Left: A three-stream CALIDUS GC process system in a three-sided shelter in Texas USA. Above Middle: The CALIDUS GC with transportable handle. Above Right: A Falcon technician checking a CALIDUS GC inside a process enclosure. Perhaps you would like to learn how Falcon Analytical and the CALIDUSTM Gas Chromatograph can make your professional life more comfortable, efficient and profitable. You can contact us with confidence now using the details below. We would be delighted to discuss your specific applications and needs.